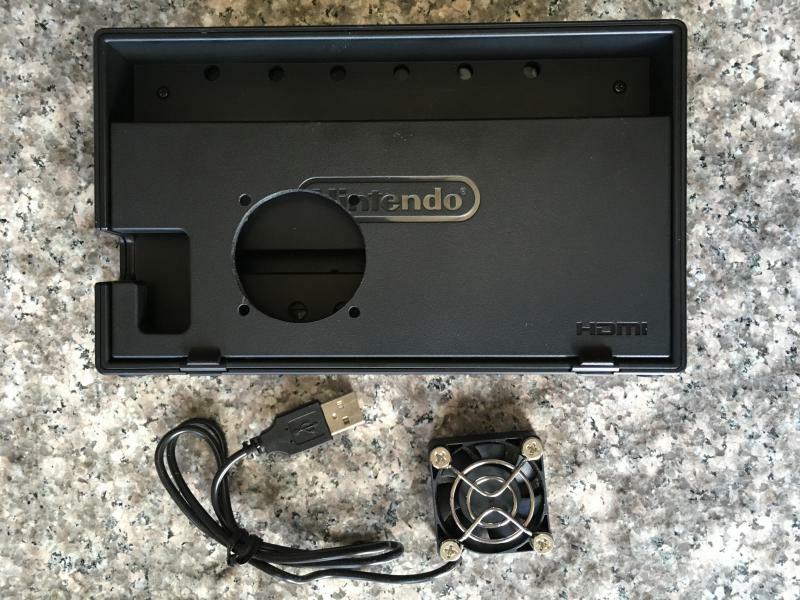 Switch dock fan cooling is something Nintendo should have included in my opinion. The Switch runs warm in portable mode. The poor design of the Switch dock and the overclocking while docked make it run too hot. 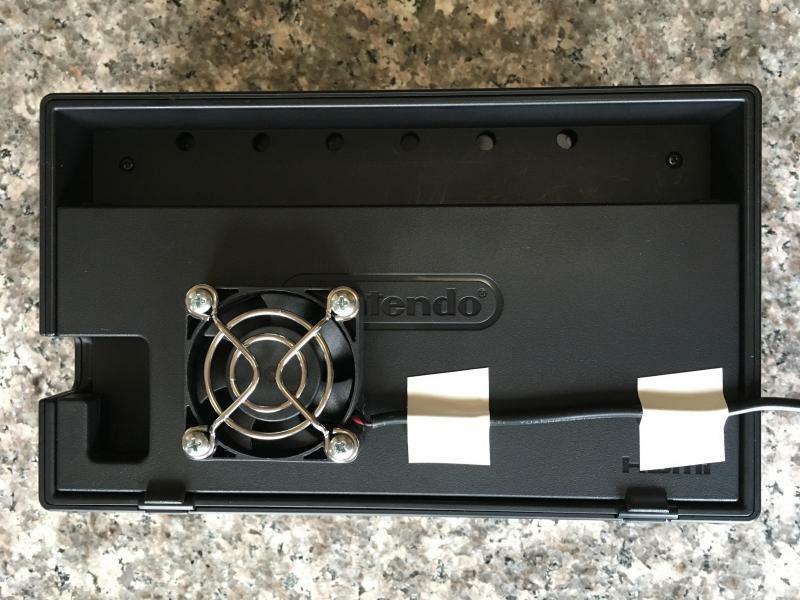 Nintendo designed a nice looking dock that scratches unprotected screens and traps heat. The intake airflow is partially restricted and the plastic surrounding the handheld acts as an insulator complete with heat insulating air gaps. The Nintendo Switch ( handheld) has an internal fan just below the top exhaust vent. There are 2 intake vents on the back of the system near the bottom. The best approach to better cooling the Switch while docked would draw hot air out of the top exhaust vent. Unfortunately, how to securely mount such a fan and remain easily removable would be a challenge. My solution was to mount a fan in the hinged door of the dock. It blows air into the intake vent to aid cooling. 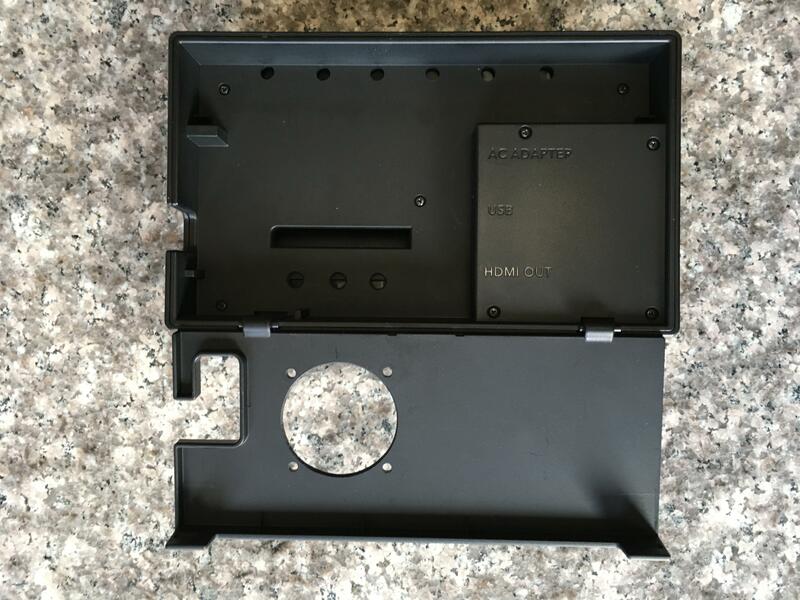 I have also drilled vent holes in the rear panel after removing it. These vent holes allow the open space between the plastic to ventilate the heat trapped in this area of the dock. Testing so far looks promising. The Switch's internal fan is barely running afterward, and the speed increases only after the dock cooling fan is unplugged for a while. Collector of Fine Atari and Sega Antiquities! that is pretty cool! pun intended. Out of curiousity, how to you control the fan on/off? Just using a separate switch or would it be possible to put something in place to only kick it on when the switch is docked? "Runs hot in portable mode"? First I'm hearing of this, bummer. Hoping that my plans for the future (stuffing this bad boy with roms and isos galore) won't be dashed by this! Apparently it's on it's way to being 'hacked' in the very near future.....some say it already has been. The USB ports on the Nintendo Switch dock are always powered on if it's plugged into power. I don't think there's an easy way to make an auto on/off switch for the fan. I just plug it in when needed. The Switch gets warm in portable mode, but never feels like it's getting too hot. It only gets hot while playing in docked mode for long periods. Edited by low_budget, Wed Aug 30, 2017 8:46 PM. I Just Got My First GameCube, What Do I Need to Know? What games should have AtariVox voice hacks and what should they say?